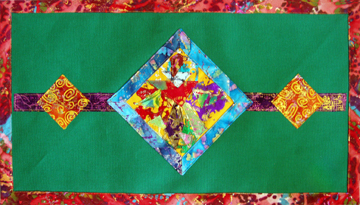 Almost I twelve years ago I created a line of table runners, mug mats, placemats and pillows. 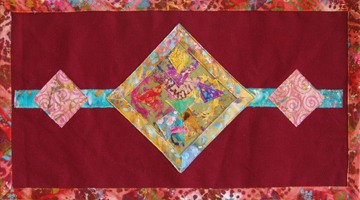 Recently I introduced the Deco Mats, a table runner for the wall. 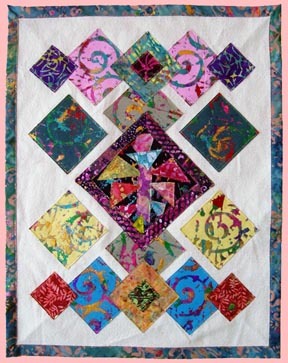 They are constructed of 100% cotton canvas and 100% cotton batiks. 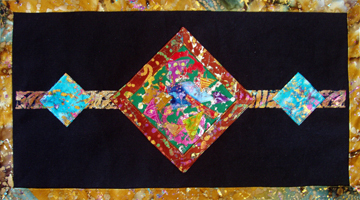 I apply foil-stamping to the batiks to add metallic sparkle. 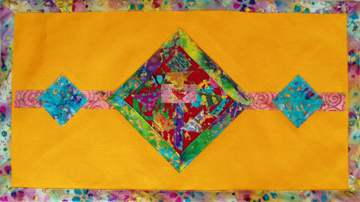 Geometric shapes made from the batiks are machine-sewn to the canvas with gold metallic thread, resulting in a bold design statement for your home. 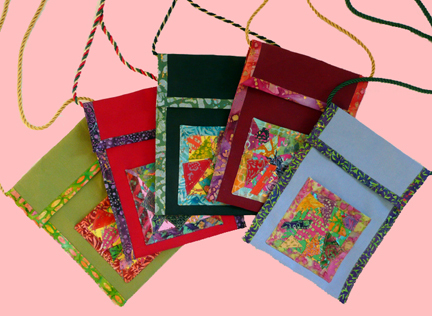 Mug Mats 5" x 5"
Deco Mat 15" x 19"
100% cotton canvas bag with a Mug Mat pocket on the front. BeaDazzling Mats are available in 17 background colors: moss green, kelly green, red, pink, orange, black, spruce green, terra cotta, buttercup yellow, blue, turquoise, natural, goldenrod, taupe, purple, fuschia and caramel. 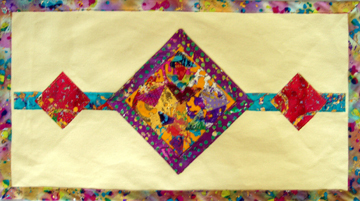 A short table runner with a Mug Mat in the center. 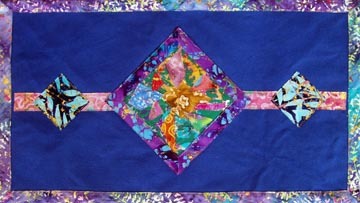 A table runner with 3 Mug Mats in the center. 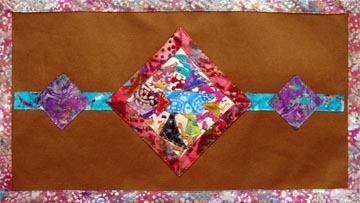 A table runner with 4 Mug Mats in the center. BeaDazzling Mats are made of 100% cotton hand-loomed in India. 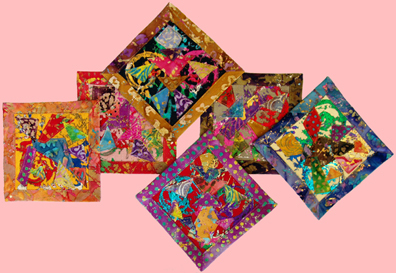 They are embellished with foil-stamped batik-style cotton fabric and sparkling metallic threads. 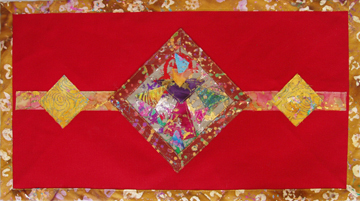 Each mat is an individual art piece designed to blend with your special table settings. Add pizzazz to your decor! BeaDazzling Mats are 100% washable and non-toxic. Available individually or in sets. Or directly from the artist. E-Mail me!